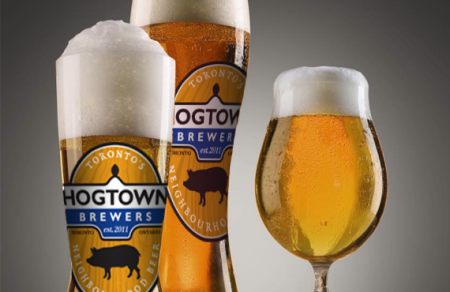 TORONTO, ON – After a preview run on tap at Toronto’s Duke of Devon pub, Hogtown Brewers will be officially launching Hogtown Golden Ale with an event at the same location next week. On Tuesday February 7th from 6:00 PM to 9:00 PM, representatives from Hogtown Brewers will be on hand at the Duke to offer samples of the new brewery’s flagship brand along with complimentary food and prizes. Hogtown Golden Ale will remain available at the Duke of Devon throughout February, and will also start showing up on tap at other bars and pubs in Toronto soon.